Game of Thrones Season 8 Not Coming Until 2019? Next month, fans will return to Westeros with Game of Thrones Season 7, which has been confirmed as the second to last season, which will span seven episodes. It was also recently confirmed that the final season will only span six episodes, but there was never a concrete premiere date intact. Most fans merely assumed that the final season will air at some point in 2017, with filming most likely taking place this fall, but that may not be the case. 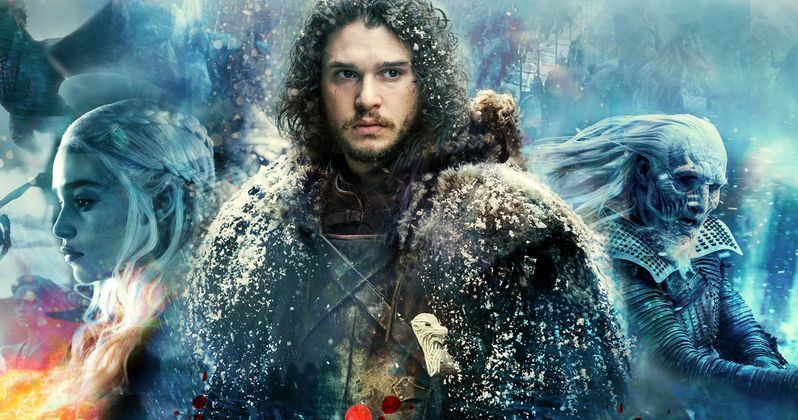 HBO programming president Casey Bloys revealed in a new interview that the final season may not air until 2019. Entertainment Weekly caught up with Casey Bloys, who also confirmed that Game of Thrones creators David Benioff and D.B. Weiss will not be involved in the Game of Thrones prequel shows, which are in development with a number of different writers, and author George R.R. Martin. As for Season 8, when asked about the possibility of the show airing "in 2018 and/or 2019," Casey Bloys had this to say. "Yeah. They have to write the episodes and figure out the production schedule. We'll have a better sense of that once they get further into the writing." There had also been reports that David Benioff and D.B. Weiss will spend a full year and a half working on the Game of Thrones final season, even though it will only be six episodes long, nearly half of a typical 10-episode season. It seems that this is one of the reasons why they won't be developing the prequels, because they want to make sure to get the ending of their flagship series just right. Here's what Casey Bloys had to say below. "I'm glad you asked that because that is one thing I want to clarify: By the time the final season airs, Dan and David will have been at this for 12 years. Which is an amazing fact. They didn't go and do movies in between seasons, they didn't set anything else up, they put everything, and are putting everything, into this show. They came into HBO with an idea for a show with a beginning, middle, and end, and they want to see it through. In conversations with them, they feel if their name is on the prequels, even in a passive way, it conveys some sort of expectation or responsibility. They want to enjoy the show as fans and don't want to worry about the scripts or production issues. We were hoping to have their names on it out of respect for them, but we understand why they don't want that." There has also been talk of the series actually ending with a Game of Thrones movie, but those earlier reports have been shut down. Instead of just one movie, it is believed that the final season will be essentially comprised of "six one-hour movies" for HBO. When asked about this approach, Casey Bloys clarified with the following statement. "One of the hallmarks of the show has been how cinematic is it. The show has proven that TV is every bit as impressive and in many cases more so, than film. What they're doing is monumental. When you see these battles in season 7, and what I imagine season 8 will be, it's a big, big show. We've done a lot of great shows, but this one combines the complex characters we love with a huge cinematic scope. I think this is the first show to prove that can be done, and we're the first people to pay for it." The show has expanded its reach beyond that of a mere TV show to become a pop culture phenomenon. We reported earlier this week that there will even be Game of Thrones classes taught at Harvard University this year. Game of Thrones Season 7 will debut Sunday, July 16 at 9 PM ET on HBO, kicking off the seven-episode Season 7. Hopefully we'll have more on this season and the final season of Game of Thrones soon.